Nobody likes getting a traffic ticket, especially when it likely won’t even save you any time. Hey, that’s why we’re here to help you out. However, that doesn’t mean that any of us are immune to the odd mistake, often resulting in an unpleasant encounter with a police officer and a hefty fine. When that situation comes around, it is usually our instinct to try to get out of it by whatever means necessary; unfortunately, this doesn’t really pan out, and most of us end up in traffic school. However, there are a handful of people who really don’t want to pay that ticket, and who will go to extreme measures to try to make sure that doesn’t happen. 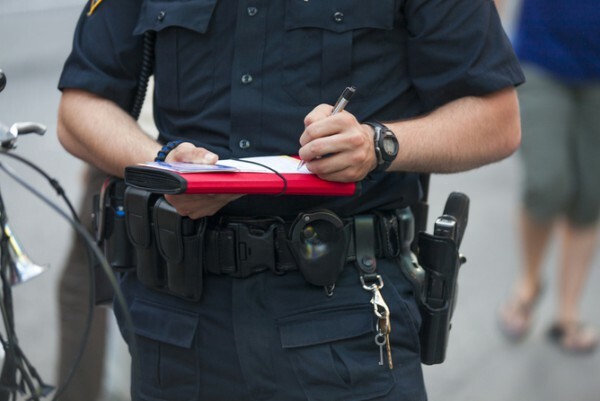 Here are a few of the craziest ways people have tried to get out of traffic tickets–some of them even worked! In 2006, an Iowa woman actually faked her own death to avoid paying traffic tickets. The incredibly thorough scheme included writing her own obituary and forging a letter to the county judge, stating that she was deceased. She was ultimately found out, and ended up facing a class D felony and prison time, for what was previously a misdemeanor and $500 fine. A common excuse for speeding is the classic “wife/girlfriend in labor.” This is the sort of valid reason that might actually work on occasion. However, one man recently found out the hard way that, in order for it to work, your girlfriend must actually be in labor. The officer pointed out that he was going the wrong direction for the hospital, the girlfriend said she was fine, and the driver was arrested for driving with a suspended license. Last month, a Tennessee man was arrested for trying to use a fake deputy’s ID to get out of a speeding ticket. Needless to say, he faced far worse charges than the speeding fine that he would have otherwise have had to pay. A rare success story in the history of people trying to get out of speeding tickets, one man bought back his old car in order to prove that he would not have been able to reach the speed that the ticket indicated he was traveling.Caught by a traffic camera allegedly driving 98 mph in a 70 zone, and facing a suspended license, the man from Bristol, England, filmed his car maxing out at 85 mph while driven by an independent specialist and eventually had the ticket overturned.